Last week I upgraded to a new BSNL 3G tariff plan that costs 4000 INR, and offers unlimited 3G on postpaid and prepaid connection for 180 days. 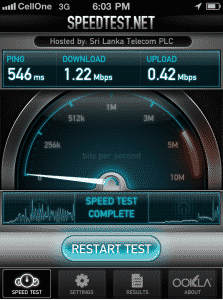 After activation, I tested BSNL 3G speed in Thodupuzha. 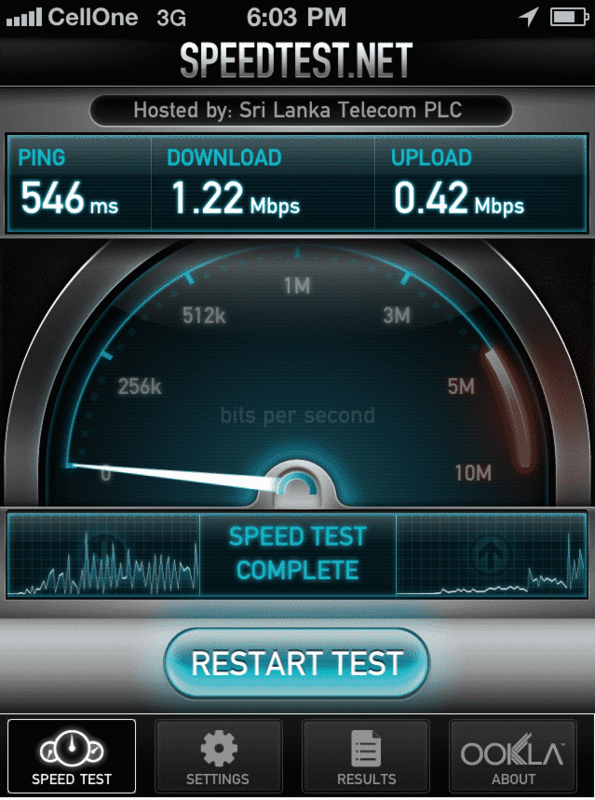 The testing was done using speedtest.net iOS app for iPhone 4 with Sri Lanka as the server choice. Maybe because we don’t have a tri-band 3G network here- the download speed is a bit poor, most of the time in the range 60-70 kbps. But I heard that in cities, people get around 200-300 kbps with connection speed clocking 3-4mbps. Idea Cellular, Tata Docomo and Aircel have 3G license in Kerala. Airtel and Vodfone are in talks to establish 3G roaming service in tie up with these networks. I’m waiting for the other providers to launch their service to know what speed they would offer. Anyway, they won’t provide 3G at cheap rates that BSNL offers now. BSNL offers 1gb 3g data per day for 90 days @ Rs.446. But who will use at least 100 mb even if someone use in a whole day. Because that is the speed of Bsnl 3g mobile data. Feel so pity because I subscribed it and it is useless and it increases my blood pressure when I start to use Internet. the bsnl make the people laugh they said that the 3g sgial is good but it has very bad sginal and bad download speed .